Large Open Gathering Space, Outbuilding(s), Outdoor Living Space, Shaded Area(s), Sunny Area(s), Swimming. Garden View, Mountain View, Panoramic, Swimming Pool View, View. 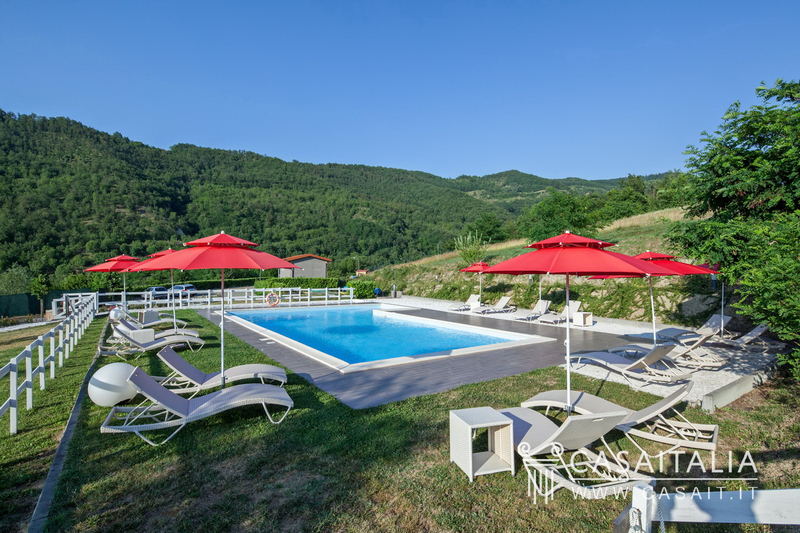 Exclusive holiday farm for sale in Piedmont in the hills of Alto Monferrato, near Acqui Terme. Comprising 9 bedrooms for guests, large communal areas, restaurant, pool and separate manager’s apartment. High end rooms and finishings. Over 5 hectares of land plus rental of one hectare of productive vineyard. 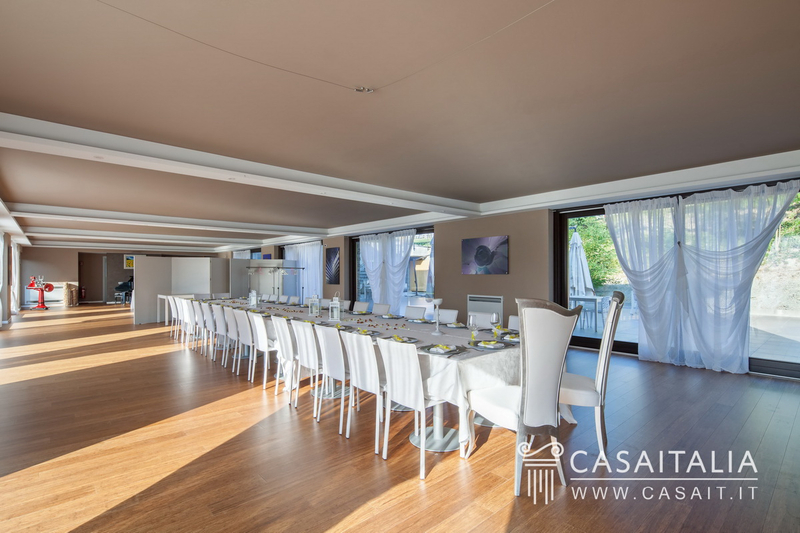 Geographic position Tenuta del Monte is Immersed in the pleasant landscape of Alto Monferrato, between hills covered with vineyards and woodland, surrounded by over 5 hectares of private land with swimming pool up above. 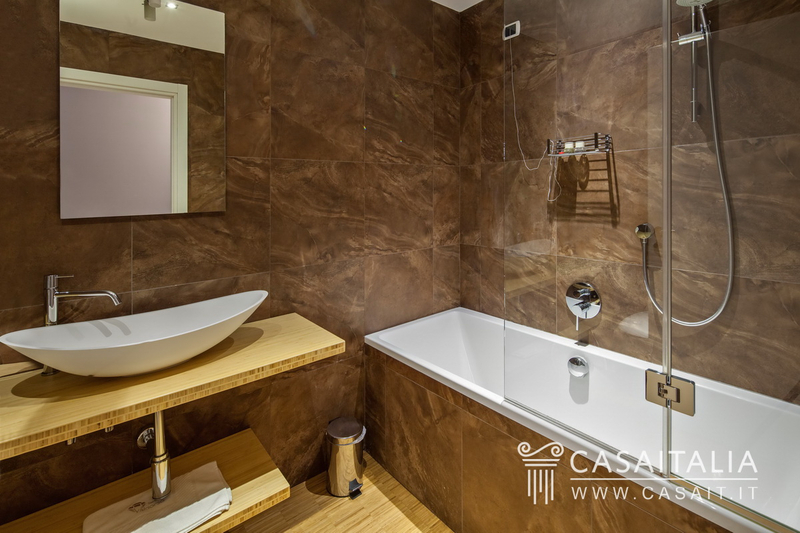 The nearest town is Acqui Terme - an ancient and well-known spa town - around 15 minutes away, while Alessandria (45 km) is around 45 minutes’ drive. The junction with the A26 motorway, which allows you to reach Genoa (80 km) in a little over an hour, is just 37 km away, while Turin (115 km) and Milan (150 km) are an hour and a half and an hour and three quarters’ drive away respectively. The nearest airport is Genoa (80 km), just over an hour away, while Milan Linate (160 km) and Turin Caselle (140 km) are less than two hours away. Description of buildings Tenuta del Monte is a well cared for and perfectly crafted property: fully restored in 2011, the main building comprises a large accommodation area of approximately 540 sq.m, plus a garage (36 sq.m) and utility areas (55 sq.m), and a manager’s apartment area measuring around 100 sq.m in total. The complex has two floors above ground: - In terms of the tourist accommodation, the ground floor comprises a pretty restaurant area with professional kitchen, guest bathrooms and a pleasant, convivial outdoor space for good weather, plus the above mentioned utility areas - including staff changing rooms and garage. 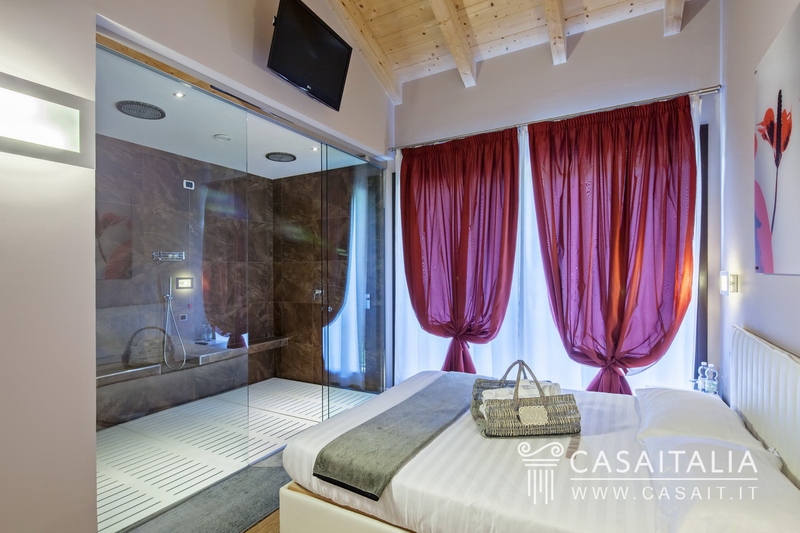 - upstairs, accessible both by a staircase and a lift, there are 8 spacious bedrooms, all with bathroom, divided as follows: 1 standard room, 3 superior rooms, 3 junior suites and 1 suite with sauna. In terms of the manager’s apartment, this features a large living area and two spaces for use as reception/office on the ground floor, while on the floor above there is a large bedroom complete with wardrobe and private bathroom. What makes this such an interesting property is that it is surrounded by usable outdoor spaces which are accessible from each of the rooms and areas. The property is completed by a caretaker’s lodge with its own bathroom, overlooking the pool area. State and finishing Tenuta del Monte underwent dramatic restoration which ended in 2011. 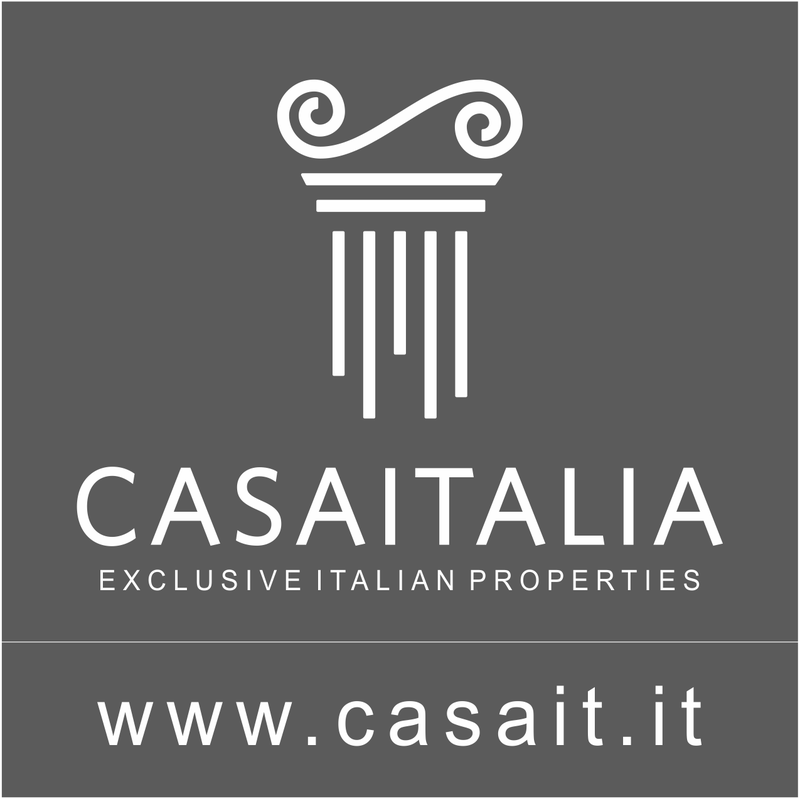 This means that the property remains in excellent condition today, also due to its high-quality finishings. 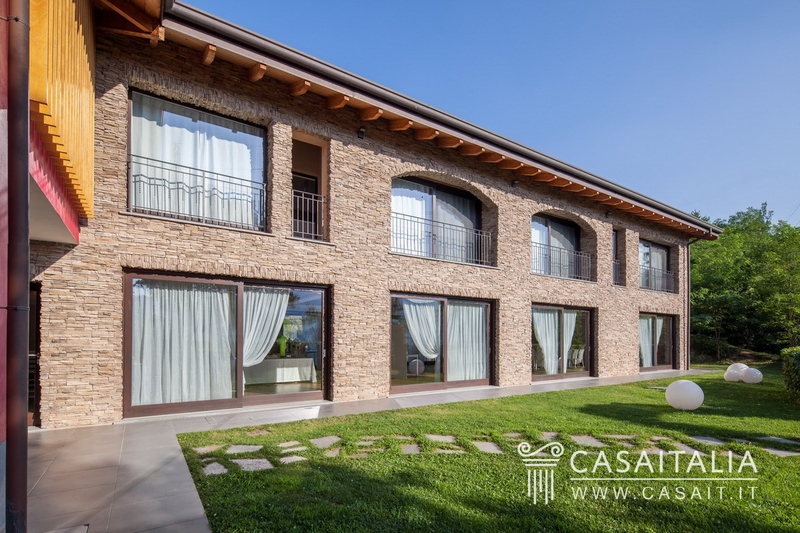 The use of stone, including local stone, combined with luxury woods, brings harmony and warmth to the internal spaces: the large glass doors and windows and state of the art appliances have been installed to guarantee maximum comfort in terms of heat and sound. The entire tourist accommodation area benefits from the highest quality equipment and furniture, which is included in the sale price. 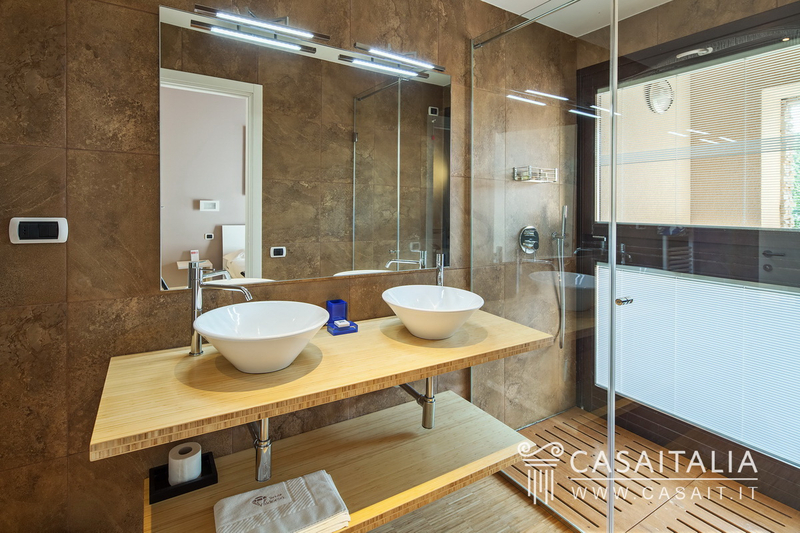 The attention to detail and excellent workmanship make Tenuta del Monte one of the most interesting properties in the area. External areas One of the features which adds value to this property is undoubtedly the setting and the land, around 5.7 hectares with some areas used for growing fruit trees and others for vegetable gardens. The business also benefits from the rental of 1 hectare of vineyard, which yields a good local wine. 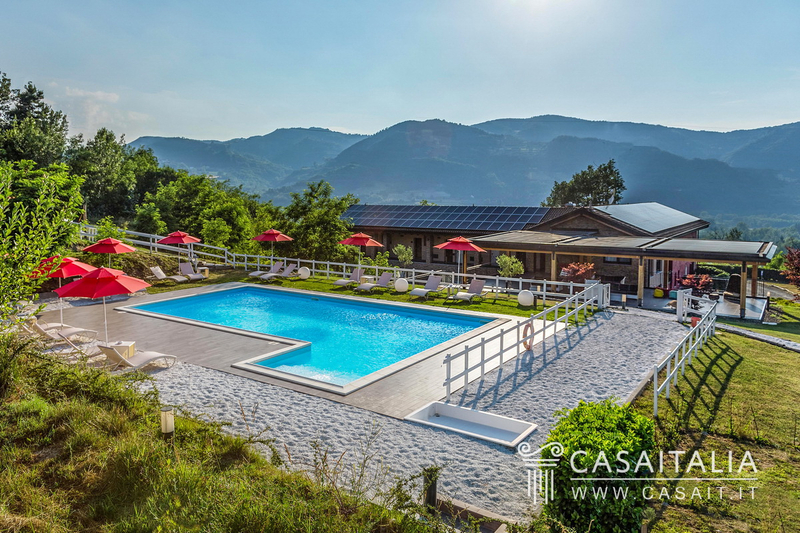 The area immediately surrounding the tourist accommodation features spaces which have been designed for enjoying the good weather: the pool area is completed by a large covered terrace measuring 130 sq.m, where you can relax and shelter from the sun on very hot days. All the spaces, both on the ground and first floors, are supplied with covered outdoor areas, usable as communal spaces. Use and potential uses Tenuta del Monte is an up and running agritourism business with the potential to improve further: the fact that it is a “keys in hand” property, in other words, one which can operate immediately without requiring any work, makes it ideal for an investor with the desire and opportunity to get the best out of it right away, with the addition of being able to live peacefully on site thanks to the pleasant manager’s apartment.